Walt Disney may be big enough to sit it out. But other U.S. media-content producers are going to feel the urge to merge in 2016 and beyond. Cable companies and other distributors have bulked up in recent years – Comcast, for example, bought NBC Universal even if it later failed to seal a deal with Time Warner Cable. Apple, Amazon.com and the like have built new media streaming models. The giants have 12-digit valuations. Most traditional content makers are puny by comparison – Time Warner and Twenty-First Century Fox are each worth less than $60 billion, and CBS and Viacom, Sumner Redstone’s companies, don’t even reach that figure combined. The gulf in market capitalizations, from Apple at more than $650 billion to Viacom at $20 billion, is a proxy for the groups’ relative negotiating power when it comes to getting television shows and movies to the public. Even Disney, with $190 billion of market value, hardly looks invincible next to Apple or Alphabet, the parent of Google and YouTube. Other businesses that pipe programs have been consolidating, too. Cellphone operator AT&T bought satellite broadcaster DirecTV in July, creating a company now worth some $200 billion. 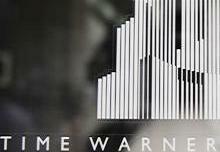 Charter Communications is set to buy Time Warner Cable and Bright House Networks in a nearly $70 billion tie-up. Distributors pay so-called carriage fees to content creators, generally on a per-subscriber, per-month basis, to air networks like Time Warner’s CNN or TNT. Negotiating those fees is getting tougher. The number of U.S. cities affected by blackouts, when consumers can’t access certain channels or networks, ballooned to 94 in 2014 from eight in 2010, according to the American Television Alliance. That’s an indication of the failure of content producers and distributors to reach agreement. Moreover, players like Amazon and YouTube, as well as Netflix, are increasingly creating their own shows as well as paying for others’ output. Now relatively small content makers will have little choice but to become larger. Rupert Murdoch’s grip at Fox and Redstone’s at his two fiefdoms may have held that process back, but the pressure for, say, Time Warner to get together with Fox or CBS will only intensify. Liberty Media Chairman John Malone told CNBC on Nov. 12 that he wouldn’t be surprised to see more consolidation in the media sector.